2019 Honda CB500X First Look—Adventure riding is currently, hands down, the fastest growing motorcycling segment, and Honda just upgraded its versatile CB500X to be even better suited for ADV riding when the pavement ends. If you squint, you can almost see this thing with some knobby tires on it for some real off-roading. 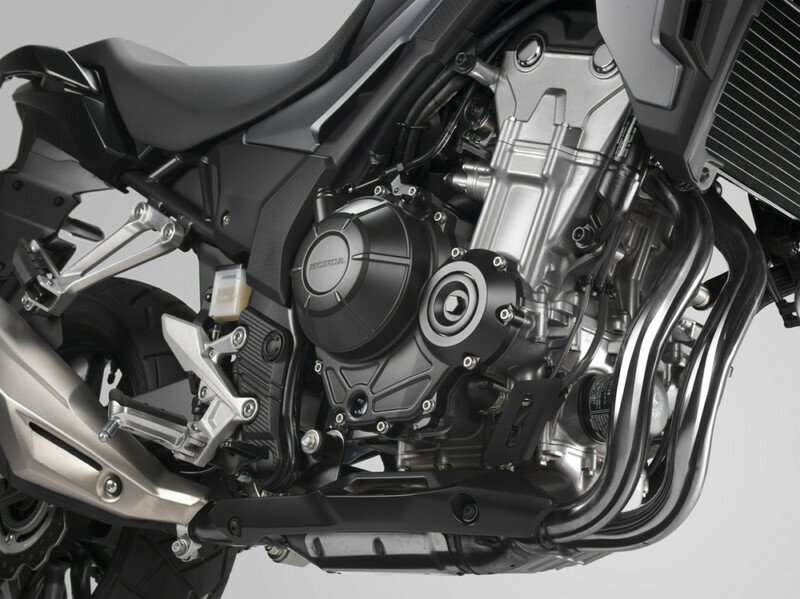 The 2019 CB500X ditches the former 17-inch front wheel for a 19 with more aggressive tread, and gets a longer-travel 41mm fork and Pro-Link rear shock, both with larger diameter internals offering 5.3 and 5.9 inches of travel, respectfully. 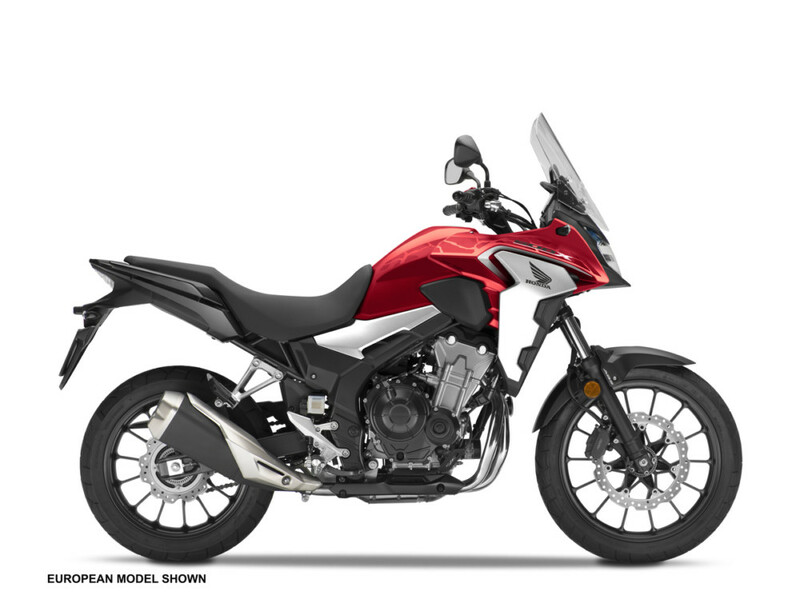 Additionally, the new CB500X receives updated styling and ergonomics with a 20mm taller windscreen, a narrowed and more comfortable seat to assist shorter riders in reaching the ground, and a revised handlebar bend to improve low-speed and off-road maneuverability. Performance wise, the 471cc parallel-Twin motor has been slightly tweaked with revised valve timing and intake tract improvements to yield a 4% gain in midrange power and torque. Modulating the engine’s power is even easier too, thanks to a new slipper clutch that’s claimed to decrease lever pull effort by 45%. Also, a new exhaust with twin exit pipes ought to help it breathe and sound better, too. 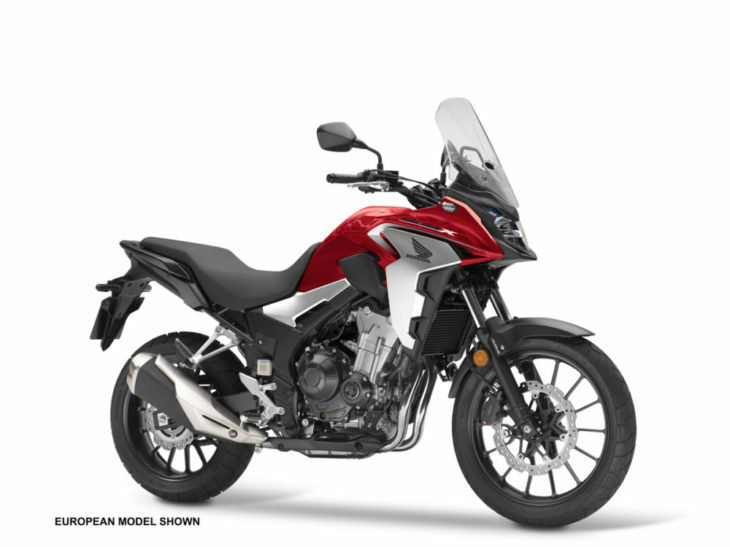 Available only in Grand Prix Red, the 2019 Honda CB500X joins the NC750X, CRF250L Rally and dual-sport, CRF450L, and Africa Twin to complete Honda’s lineup of adventure-focused models.